Alghero is a quiet marvel, home to beautiful Catalan architecture and an atmosphere all its own. 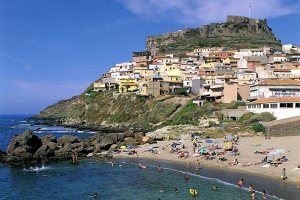 Sardinia’s north west coast shelters some attractive seaside resorts, interspersed with spectacular coastline. 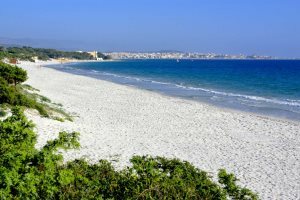 Inland from the sweeping cliffs and white sand bays of the coast, the north west of Sardinia is characterised by gentle rolling hills and vineyards; and outside of the bustle of Alghero the region has a very peaceful feel. 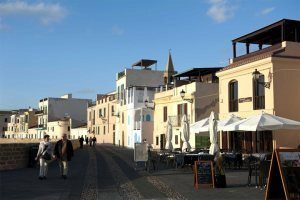 In a typical day you can relax on a secluded beach, take a stroll in the macchia-scented hills and in the evening wander the cobbled streets of Alghero and enjoy a wonderful Sardinian meal. 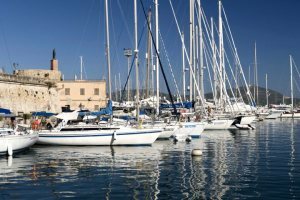 Alghero is an interestingly varied town with a historic core, green outskirts where our properties are situated, a sweep of easily reached sandy beaches and some more modern areas perhaps of less interest in themselves until you need a supermarket or the children demand 'seaside attractions'. 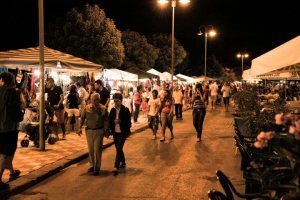 Sassari, the provincial capital is quite near Alghero and worth visiting, particularly if you happen to be on the island on Ascension Day when the Cavalcata Sarda is held, one of the most important and best festivals in Sardinia, a huge display of horsemanship and local customs. During the summer months it is easy to find facilities for water sports to indulge in. Most beaches will have windsurfing boards and pedalos to rent. At the main port, as well as along the Lido, you will find companies which hire out small boats. Please find below a selection of our accommodation in the Alghero & the North West regions of Sardinia.